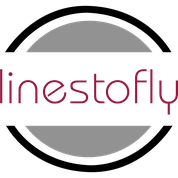 linestofly - the brand new shop for kitelines - becomes Industry Partner for the first event of the IKA Snowkite Worldcup at Lake Reschen. Professional kitesurfer Florian Gruber is already a big supporter of linestofly. Never heard of this brand? It's about time! linestofly is a brand new online shop where you can buy kitelines in different variations - either as a complete set, extensions, lines for your own production or accessoires. These kitelines are perfect for Kite-Buggy, Kitesurfing, Snowkiting and Landboarding. The high tec kitelines are made from 100% Dyneema and are available in different colours and diameter.